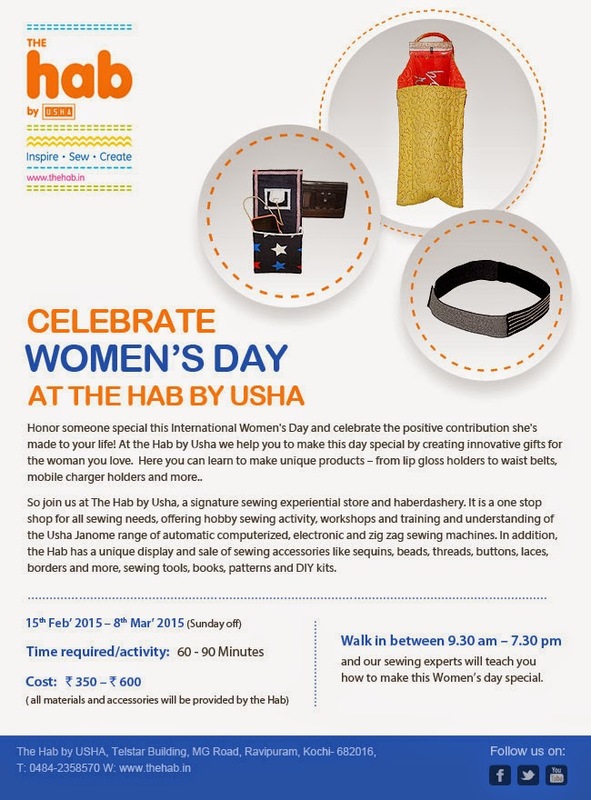 Celebrate Women's Day, at the Hab by Usha. Honor someone special this International Women'sDay and celebrate the positive contribution she's made to your life! 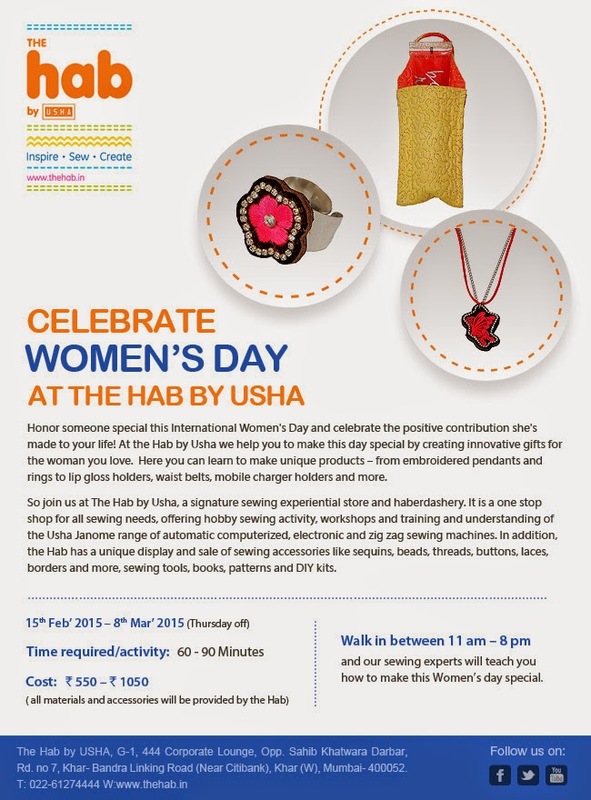 At the Hab by Usha we help you to make this day special by creating innovative gifts for the woman you love. 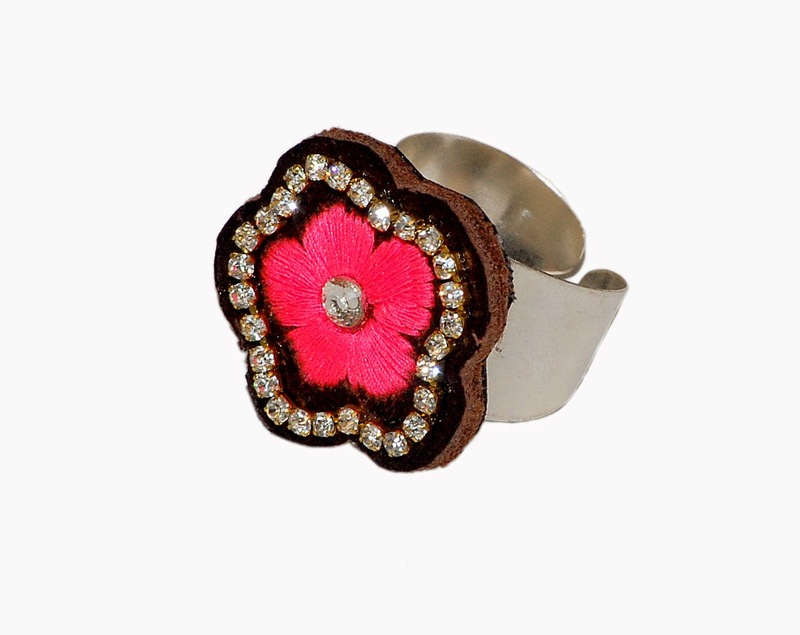 Here you can learn to make unique products – from embroidered pendants and rings to lip gloss holders, waist belts, mobile charger holders and more. Walk in between 11 am – 8 pm and our sewing experts will teach you how to make this Women’s day special. 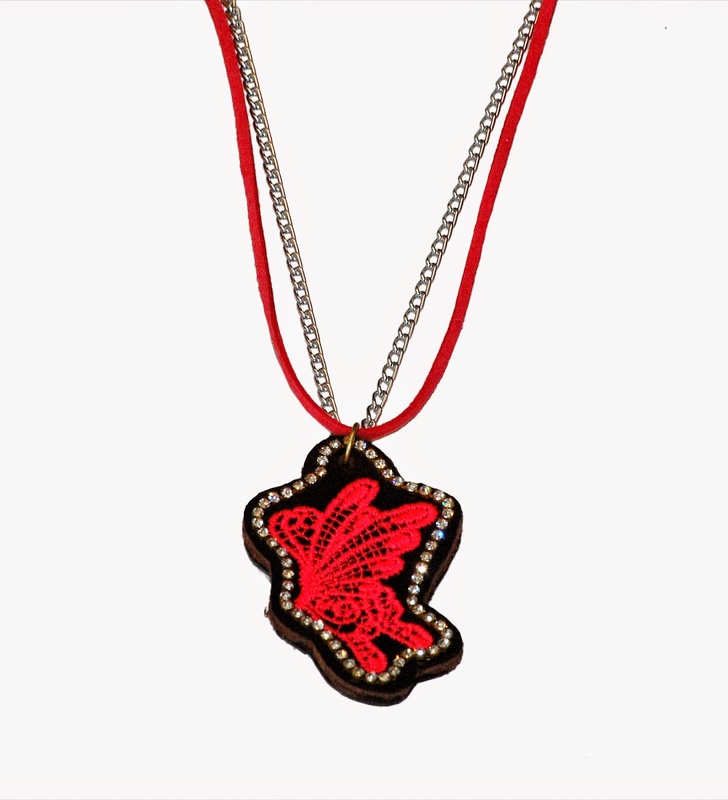 At the Hab by Usha we help you to make this day special by creating innovative gifts for the woman you love. Here you can learn to make unique products – from lip gloss holders to waist belts, mobile charger holders and more.. Walk in between 9.30 am- 7.30 pm and our sewing experts will teach you how to make this Women’s day special.